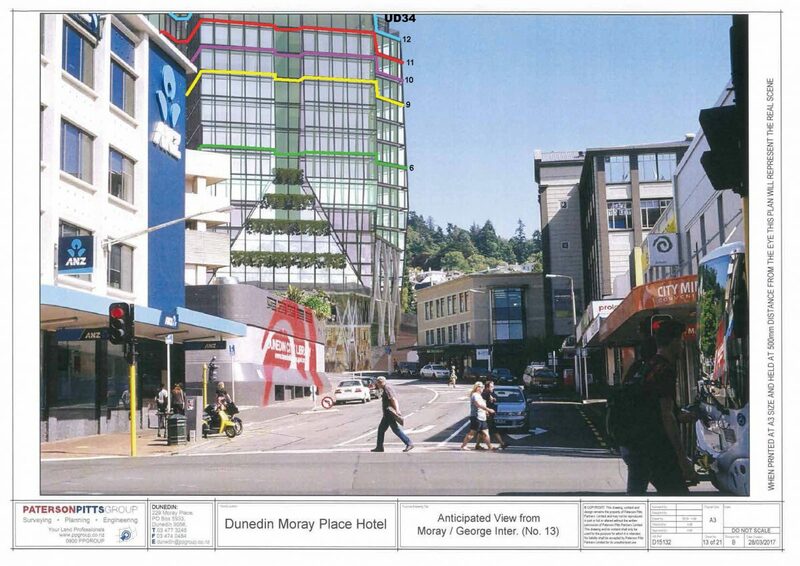 THUS we gather that the owners/editorial team of the Otago Daily Times have deemed Anthony Tosswill’s proposal for a tall fat Moray Place apartment building (commercial residential) is worthy of being built. Ra Ra ODT. 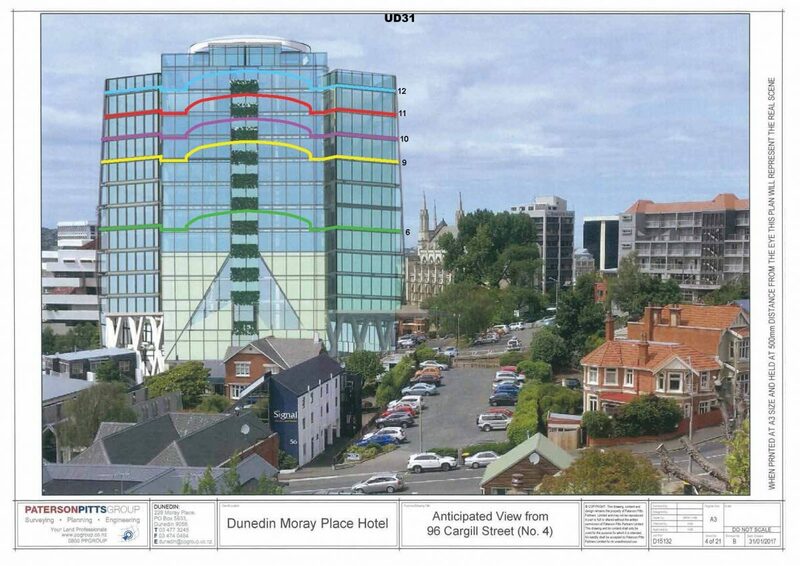 If you (ODT) want to print half the story, presume away…. 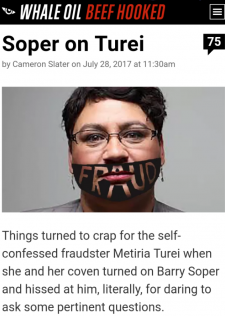 to Not be the independent courier of what is public information contrary to the arguments of the greying Mr Page, Counsel for Mr Tosswill’s NZ Horizons Hospitality Group Ltd (widely suspected as a vehicle for Asian finance, yet to bring even one of “12 hotels” on his South Island wish list out of the ground – funny that). 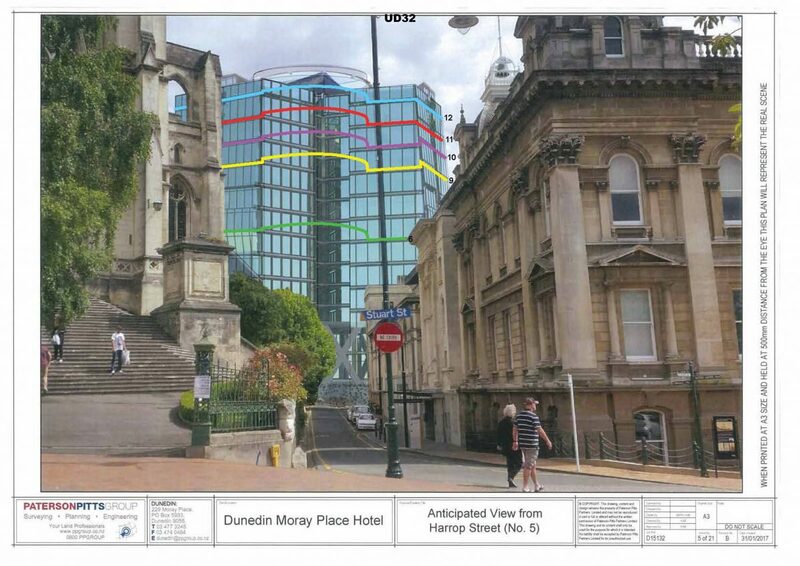 The legal submissions of Ms Semple, Counsel for Millennium and Copthorne Hotels New Zealand Ltd (owner of the 3 star Kingsgate), an affected party. Ms Semple maintains that the application cannot be lawfully unbundled. The legal submissions of Mr Hardie, Counsel for Misbeary Holdings Ltd are not yet available online at the DCC website. If the independent commissioners agree with Mr Page then it’s “See you in Court, Buster”. FFS pull your head in, lady. This is a public statue properly positioned in a public space (Queens Gardens). —NOT a trifle to be STOLEN by ivy-league wankers to decorate their private vajayjay !! There is Nothing wrong with city brothels fronting public spaces. Or, city brothels fronting public works of sculpture. What is more Human, Egalitarian and LEGAL than that. 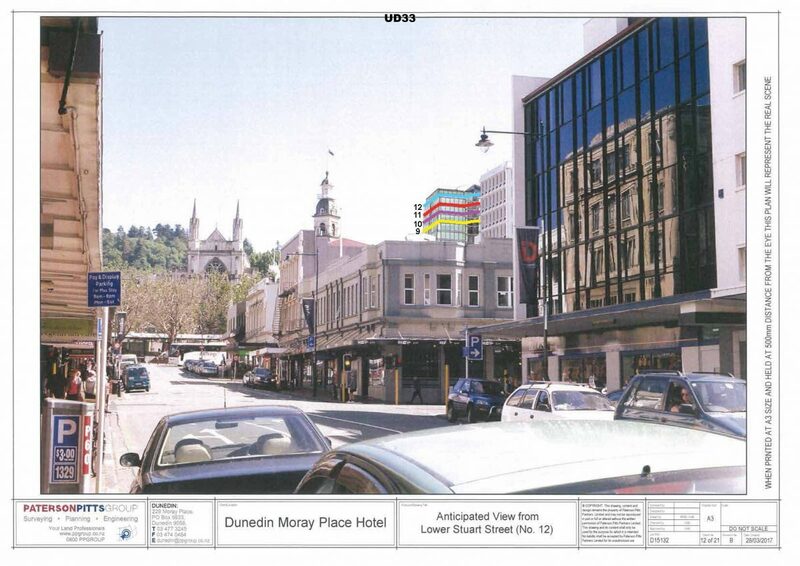 The Dunedin City Council has received notice of a requirement for a new designation from the Otago Regional Council. 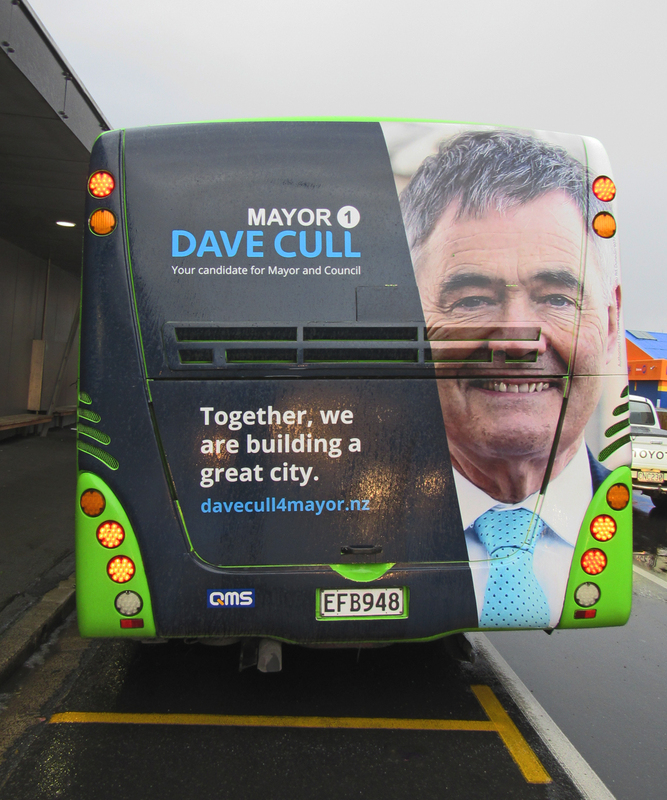 The requirement is for: A Central City Bus Hub for Dunedin’s transport network, and includes all buildings, structures and associated facilities and activities for the carrying out of the public transport system by the Otago Regional Council. 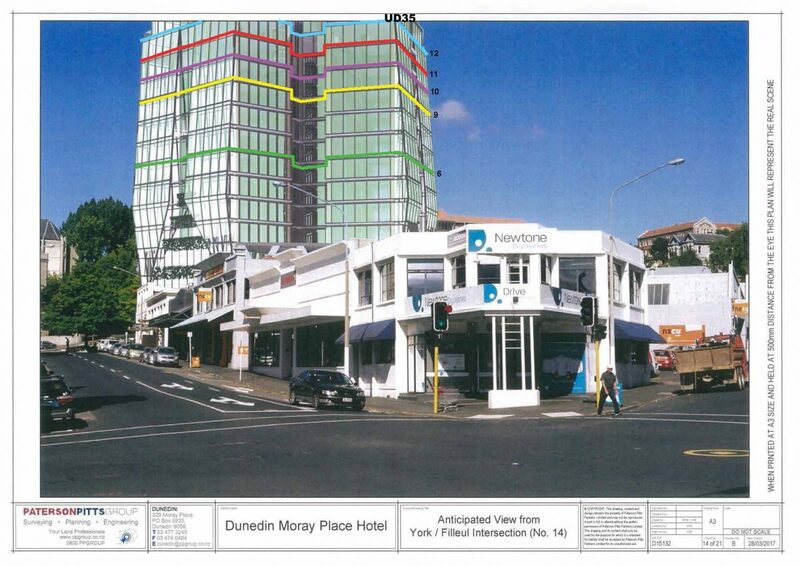 With the exception of no public parking, the designation will not prevent the use of Great King Street, between Moray Place and St Andrew Street, being used as a public road. The designation is to provide for the establishment, operation, maintenance and upgrading of the Central City Bus Hub for Dunedin public transport service purposes and will provide public transport services described in the Otago Regional Council’s Public Transport Plan, and to provide for any site works, buildings or structures, integral and ancillary to the Dunedin public transport system, including but not limited to: Bus shelters and seating; timetable and information displays; bus stops; public amenities, including toilets; landscaping including structures; pedestrian footpaths and accessways; drainage; technology; lighting; security; vehicle priority; signage; passenger comfort initiatives and facilities; passenger information facilities; and all other structures and facilities associated with, or incidental to, a comprehensive facility for the performances of functions of the Central City Bus Hub and support of the Dunedin Public Transport Network for the Otago Regional Council. The nature of the functions is that these activities will initially occur from approximately 05:30am to 12:30am, 7 days a week, year-round. 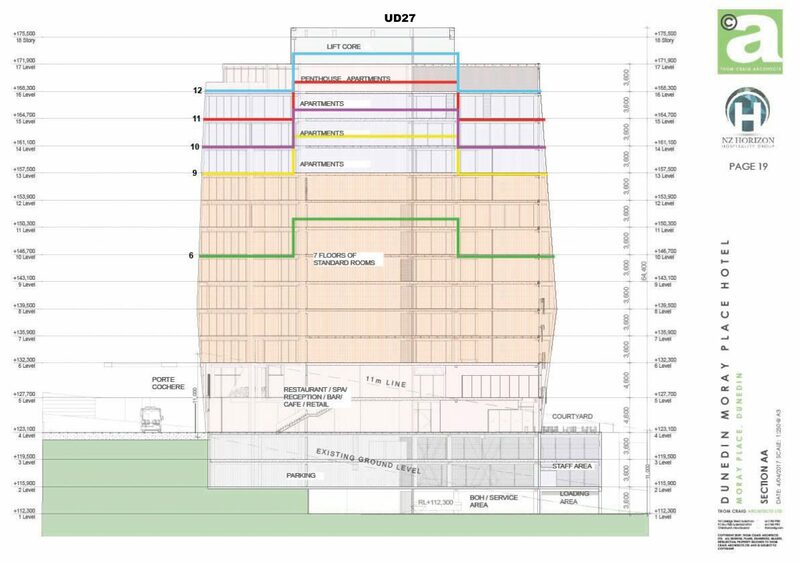 ● Two areas within the Countdown car park adjoining Great King Street – one comprising 58.8m² and the second comprising 50.4m² (approx.) 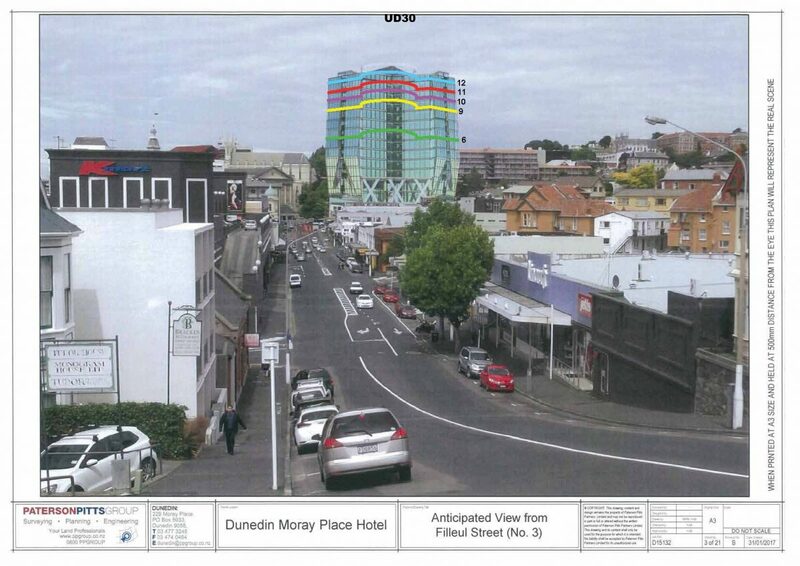 legally described as Lots 2 and 3, DP 6552 and Section 29, Town of Dunedin. ● 60.8m² (approx.) within the Wilsons car park at 30-36 Great King Street, legally described as Lot 2 DP 338932. Please contact Paul Freeland on 477 4000 if you have any questions about the Notice of Requirement. Closing date for submissions: Friday 18 August 2017 at 5pm. To begin the process of designating land, a requiring authority must serve a notice of requirement on the relevant territorial authority (s168 of the RMA) or lodge it with the Environmental Protection Authority (EPA) (s145(3)). A notice of requirement is a proposal for a designation. The notice of requirement has an interim effect, in that it protects the land for the designated purpose until the designation is confirmed and included in an operative district plan (s178). If the designation is confirmed it overrides the provisions of the district plan so the project or the works may be implemented by the requiring authority in accordance with that designation and any conditions attached to it. However, the underlying plan provisions continue to apply if the land is used for a purpose other than the designated purpose. When processing a notice of requirement Part 8 of the RMA requires the territorial authority to consider the requirement and any submissions received (if the requirement was notified), and then make a recommendation to the requiring authority. The territorial authority is only able to make a recommendation to the requiring authority and the requiring authority has the final decision on the matter. Refer to the flowchart for steps in the new designation process. An alternative process is available under Part 6AA of the RMA for notices of requirement that are for proposals of national significance. Sections 198A – 198M of the RMA also provide for the direct referral of notices of requirement to the Environment Court for a decision. The direct referral provisions under the RMA allow for requiring authorities to request that notified notices of requirement be directly referred to the Environment Court for a decision, instead of a recommendation by a territorial authority and a decision by a requiring authority. The designation provides for the long-term ‘approval’ of the work. 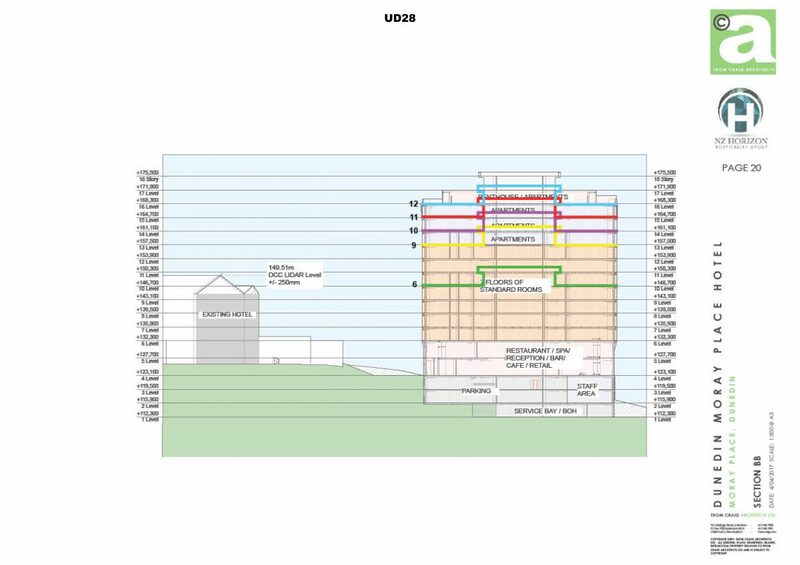 Because details of the work may not be known at the time of lodging the notice of requirement, s176A provides for further detail or subsequent changes and updates to the work through an outline plan. An outline plan is required to be submitted to the territorial authority, showing details of the work or project to be constructed on the designated land. As for the notice of requirement process, the territorial authority only has a recommendation role for outline plans. The territorial authority is only able to request changes of the requiring authority and cannot turn down an outline plan. 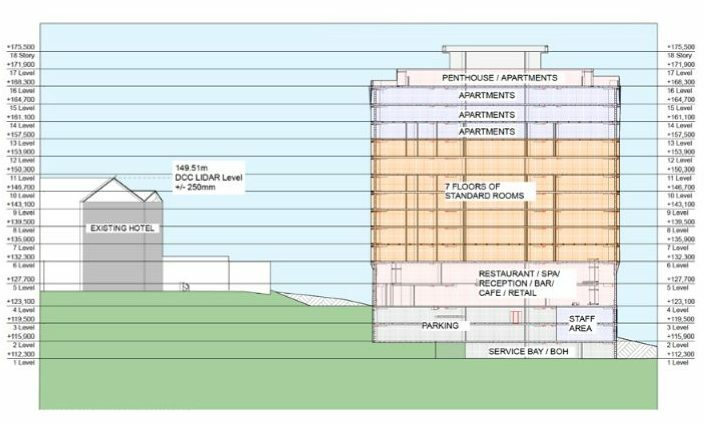 A notice of requirement and an outline plan describing the works proposed can be served/submitted at the same time. This approach can be helpful to allow the territorial authority to understand the designation, and can speed up the overall process allowing works to begin sooner. Alternatively, the requirement for an outline plan can be waived by the territorial authority if sufficient information was submitted with the notice of requirement. 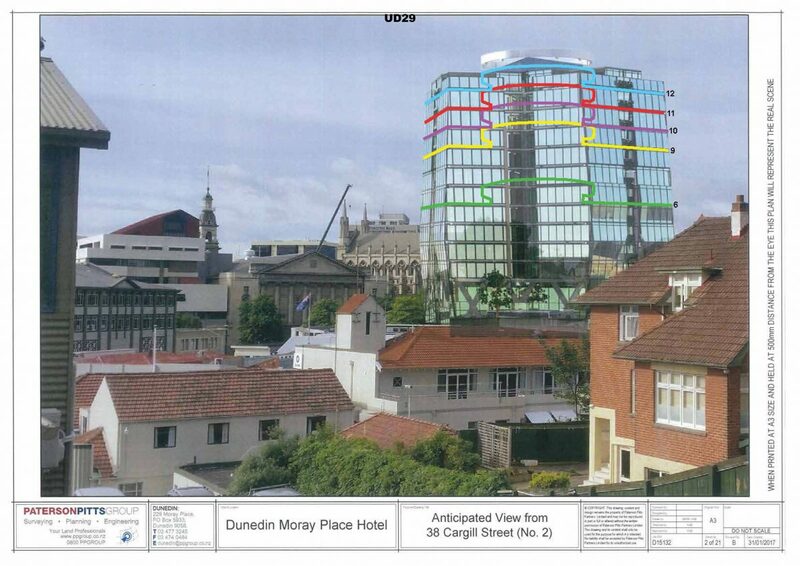 No highly coloured tarseal or paving materials not in keeping with Dunedin’s built environment. NO Bus Hub in Great King St.
smaller more frequent shuttle buses, suburban areas properly serviced with well-spaced bus stops and shelters, easy transfer cards, on-board EFTPOS card top-ups ($5 minimum), digital readouts for next bus at all stops, wifi buses, direct pick-up drop-off in George and Princes streets, well serviced peak hours and school runs, bus inspectors, highly trained drivers, mechanically well serviced buses, plenty of mobility access for all comers. Or to just call an affordable version of Uber or Lyft. The camping control bylaw consultation process was publicly notified on Saturday, 22 July 2017, in the Otago Daily Times. 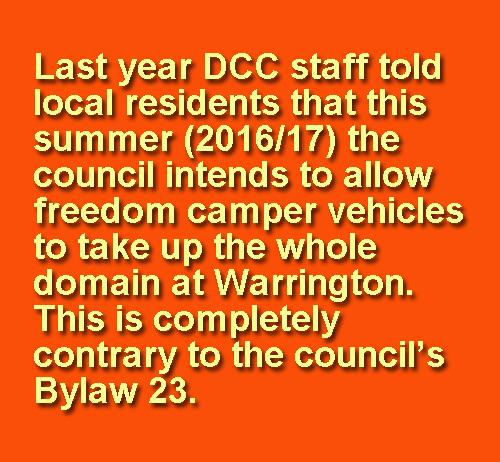 We have been following the nightmare tale of freedom campers at Warrington Domain —the council did not enforce its existing Bylaw 23 last summer. Local residents were no longer able to use the messed up, vehicle covered village green for pleasure and recreation. Instead, DCC had allowed the whole domain to be turned into a muddy rutted car park. Over summer 1000s of freeloading campers were subsidised by Dunedin ratepayers at roughly $10.00 per head per night. Disgraceful. An appalling and gutless lack of care and management shown by the council. AFTER ALL THIS . . . . It is a pleasure to note (finally, yes!) that DCC’s preferred option for bylaw adoption is sensible and workable. Please support this option. █ The best option is DCC’s preferred option : a ban on people sleeping in cars and restricting freedom camping to self-contained campervans only. This is the only responsible option – it will reduce camping issues at domain grounds, such as Warrington and Ocean View. The other 2 options are messy, they require more work and will not be easy to enforce or manage. – Option 1. “Limit freedom camping to certified self contained vehicles only”. Warrington stakeholders, in particular, see no reason to comment on the “criteria to apply to sites” questions. Just leave them blank. – Area at Warrington for certified campers to be limited in area to accommodate maximum 10 vehicles per night. – No freedom camping anywhere else in Warrington other than a small designated area in the domain. Please complete the form and share this information with friends and colleagues. At last DCC has done something right by preferring Option 1. 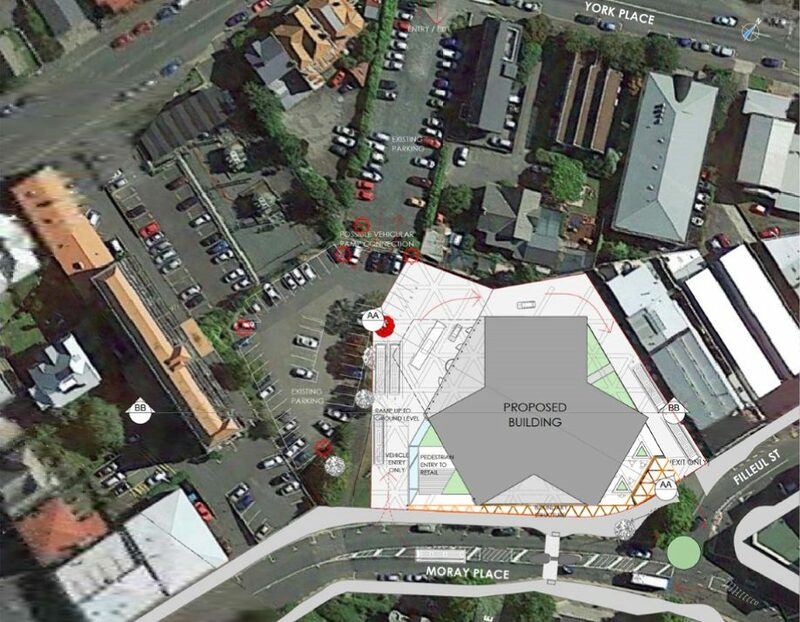 DCC is asking the community for feedback on a proposed change to freedom camping in the Dunedin area. They would like your views on whether DCC should continue to provide freedom camping for both certified self-contained vehicles and non-certified self-contained vehicles. The Statement of Proposal outlines changing the current bylaw to provide camping areas for certified self-contained vehicles only. – to provide extra areas for non-certified self-contained vehicles based on a set of criteria. The proposed change is in response to the impacts of overcrowding at the two existing unrestricted camping areas at Warrington and Ocean View, and because of changes to the current standard for certified self-contained vehicles. 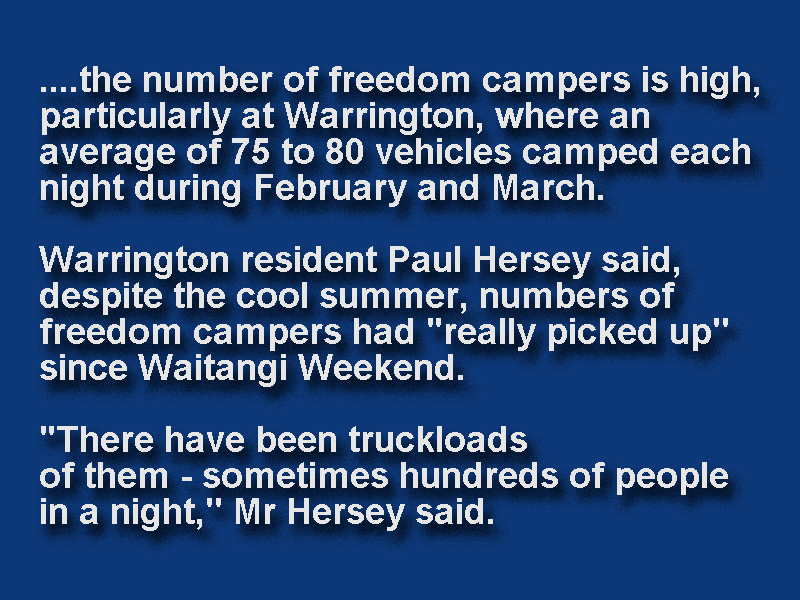 Freedom camping throughout Dunedin is very popular, especially between November and May. The focus of this bylaw review is to make the bylaw more robust and workable, based on two seasons’ worth of feedback and observation. Following community feedback and hearings, the Council will consider the submissions and decide on any changes. DCC hopes to have the new bylaw in place in October/November.